And what is what gives the right percentage of both things (fat and protein) to the jamón? THE ACORNS that the Ibérico pigs eat in the Dehesa forest (Holm oak forest) during the Montanera period. The Acorn is the main energy source of the Ibérico pig. They ripen during November and January, although this is not always true as it depends on the location of the trees and its genetic characteristics. 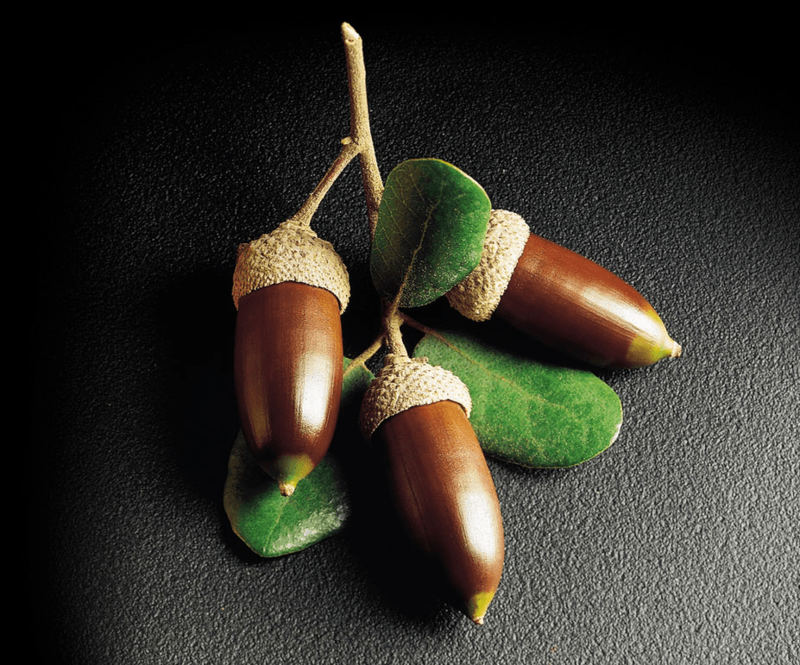 Also, depending on the location of the trees the acorns have different forms and flavors, which affects directly the quality of the final Jamón Ibérico de Bellota. Form a nutritional standpoint, the acorns provide with low levels of protein (5%) and they’re rich in sugars (45%), fats (3%) and minerals (2%), being a 45% from the humidity of the fruit itself. However these figures can vary depending on the level of ripening and dehydration at the moment when the acorns are consumed by the Ibérico pigs. 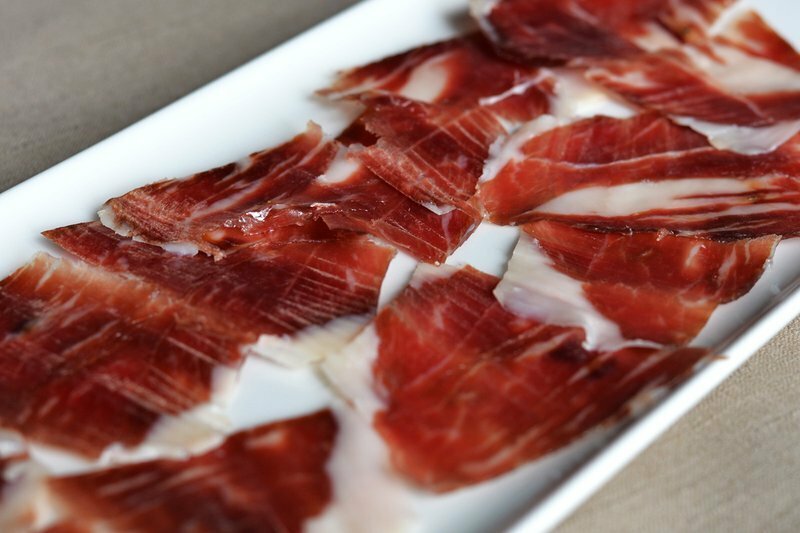 It’s important to emphasize the high proportion of Oleic Acid (around 63%) in the jamón Ibérico de bellota. For an Ibérico pig to be considered as Acorn-fed “de Bellota”, it has to eat 500-550 kg (1,100-1,200 lb) of acorns! For every 7 kg (15 lb) of acorns and 2 kg (4.4 lb) of grass, the pig gains 1 kg (2.2 lb) of weight. If you live in the USA and want to try the finest Jamón Ibérico de Bellota (Acorn-fed) “real Pata Negra”, make sure to visit us at Ibérico Club.